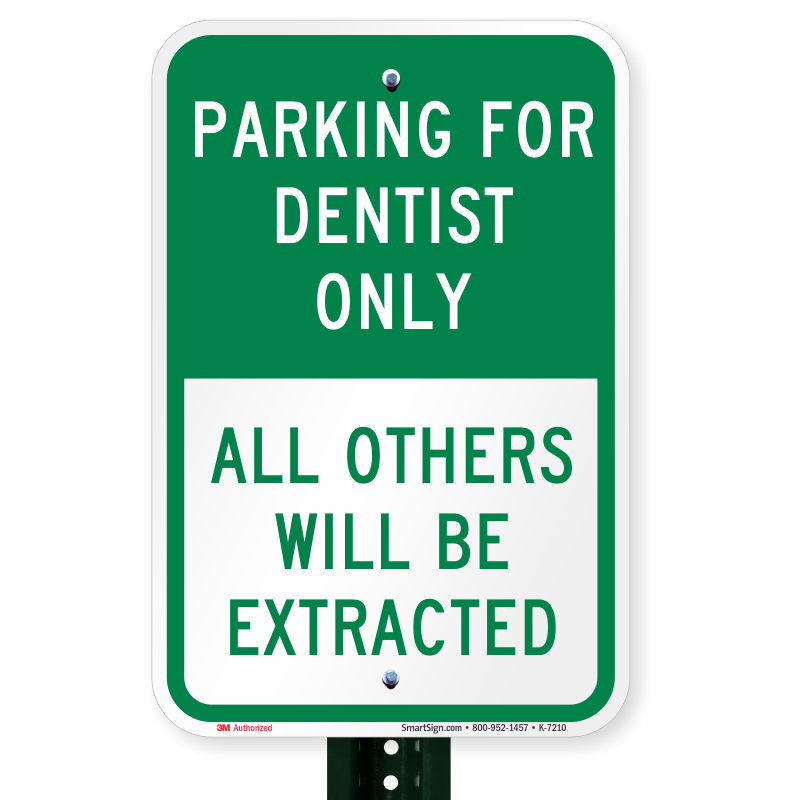 Subtly warn visitors about reserved parking spots for dentists only. 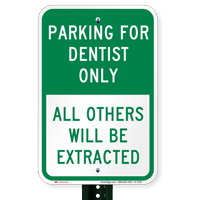 • This sign secures parking spot for dentists in hospitals and health centers. 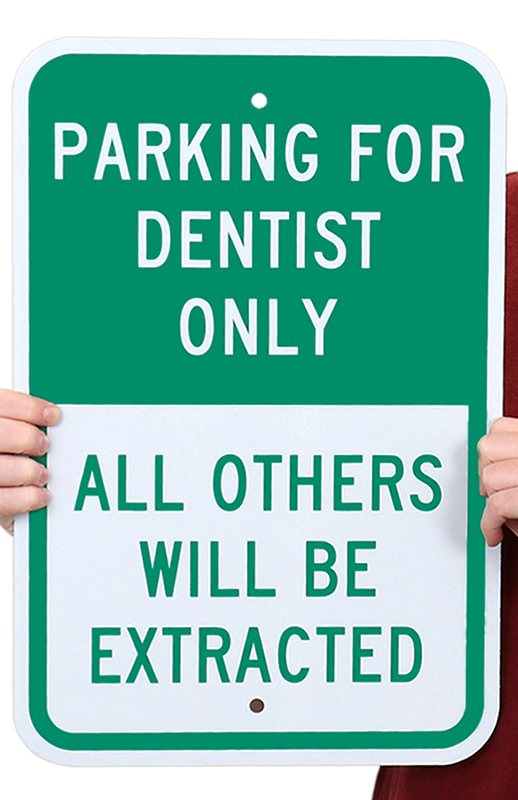 • Made of heavy duty high quality aluminum that is rust and wear free.